Natural and rustic resources should be everybody’s initial choice when beautifying the outdoors, and after reading our blog having a rock garden will certainly be on your wishlist this summer for an enjoyable place to be while the sun is shining. Use rocks to transform a basic and dull back garden into a relaxing space. Why go for a rock garden? 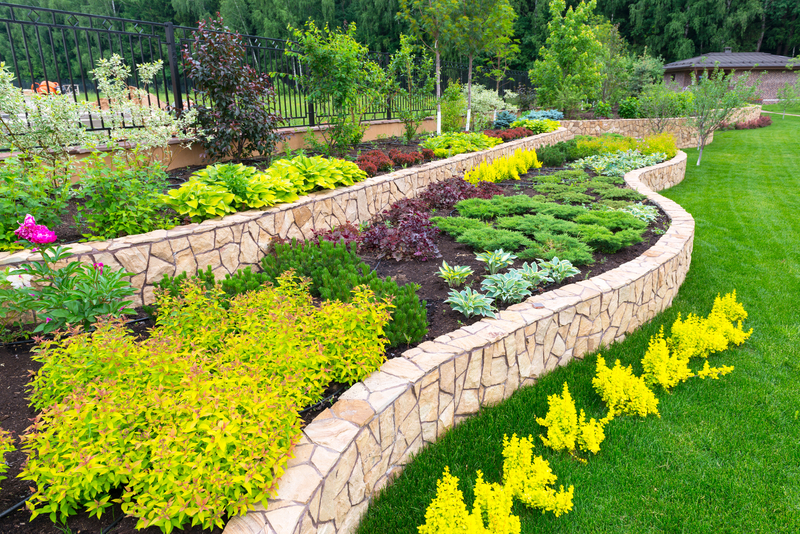 Rock gardens are incredibly low maintenance and are in season all year round. Rock gardens are actually gaining popularity as they can bring a modern stylish element to landscaping. Rocks are very decorative and popular with many people. Maybe you don’t want to create a definite rock garden but you like the sound of combining the stone with plants and other elements in your garden to border and structure space in a way that suits your styles. Pebbles are not only a great way to make garden paths but also prevent weeds, they also won’t restrict trees and bushes. These can be made into steps to make a unique outdoor staircase, this is ideal if you have a sloping back garden. For a more natural rigid look vary the sizes of the rock and the shapes. Swap between different colours and sizes of rocks on the same trail to make visual interest and landscaping depth. Beautiful river rocks form a “three-layered threat” in the back garden, designing an intuitive walkway and contrasting nicely against the wood fence and grass. Rock pathways and patios are hard-wearing and easy to preserve, plus they add so much natural beauty to the back garden. The walkway could lead to a nice seated area for the summer. 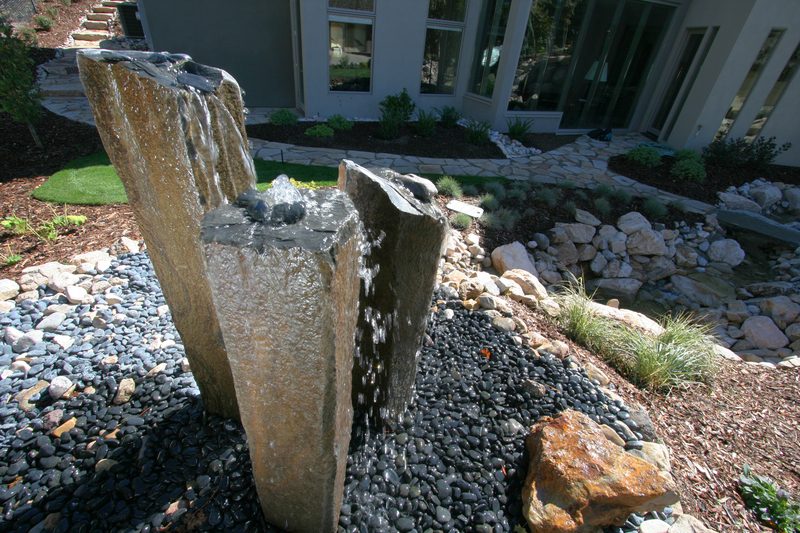 Create a rock garden with or without a water feature, rock gardens are a beautiful way to transform that useless, troublesome back garden corner into a focal point. Painting rocks to make these stone gardens markers a fun art project to do for children and they are also helpful. If you have a vegetable patch this could be extremely helpful as you could write what veg is located where on the rocks. Garden pebbles have the advantage of being very versatile and can be used for decorative objects which can be used to improve the look of the ground, walls and even garden furniture. Instead of buying a modern garden table why not create one, for this you’ll only need a glass table top a good amount of pebbles and stones and some mesh for the base of the table. We hope our blog has given you some ideas for your stone garden. If you’d like more garden design and landscaping advice or would like to find out how we can transform your garden, please feel free to get in touch.